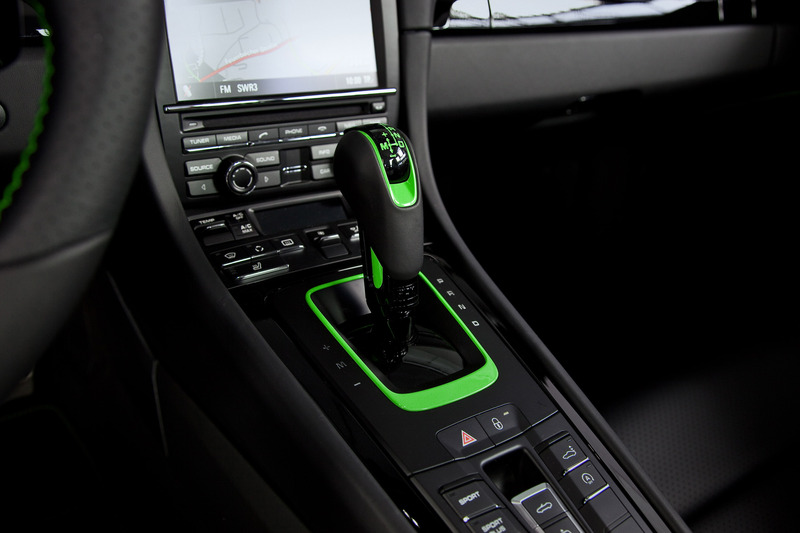 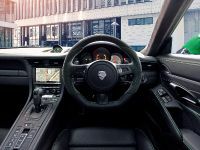 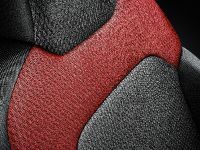 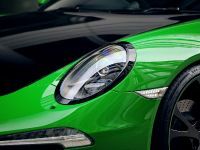 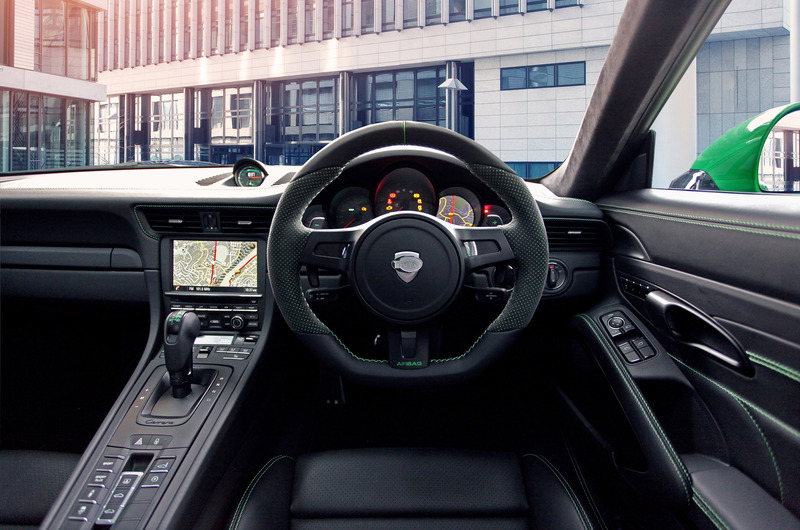 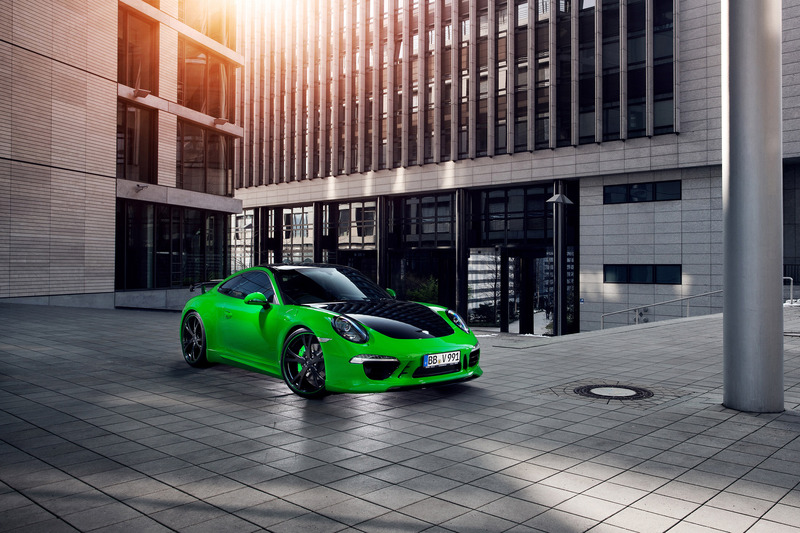 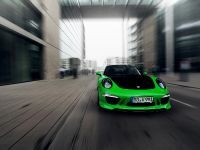 TechArt has released full details about their latest tuning program for the new Porsche 911 Carrera 4S. 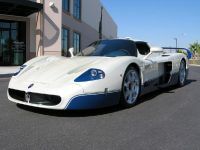 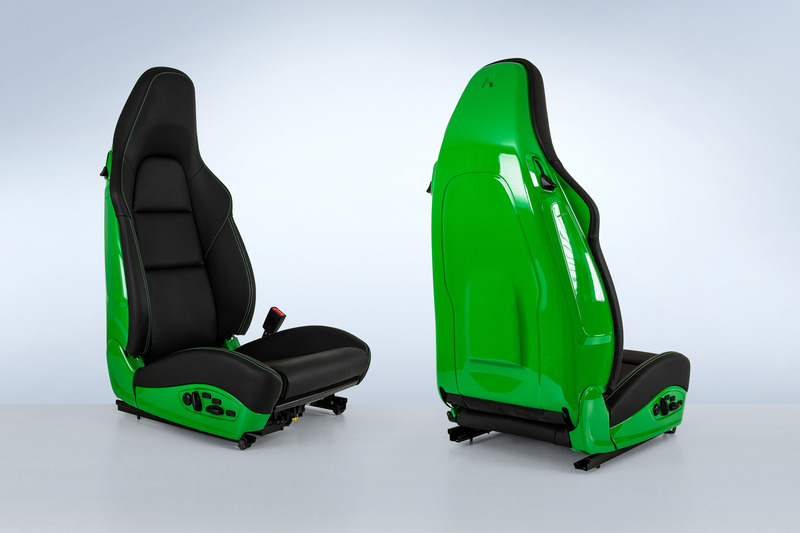 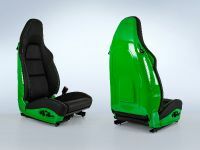 The sports car comes with complete aerodynamics body kit as well as a set of new wheels and interior modifications. 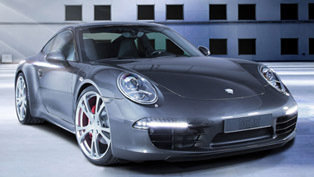 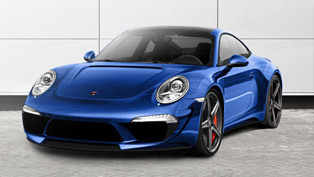 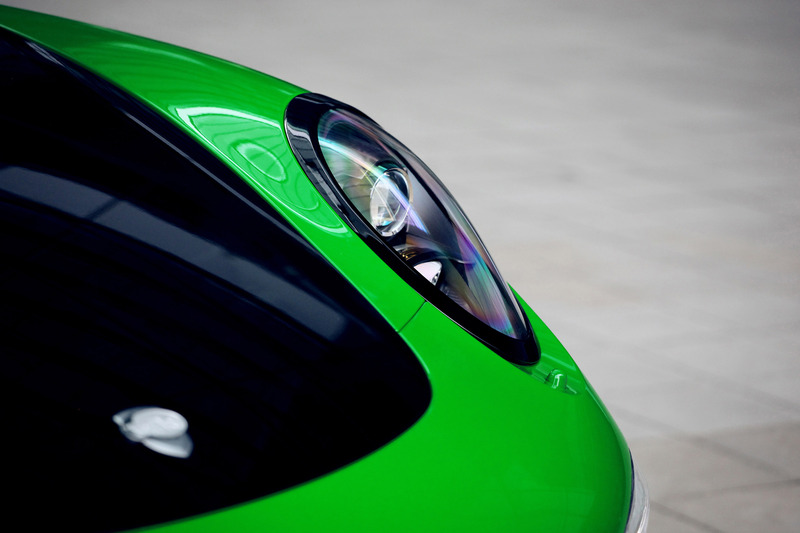 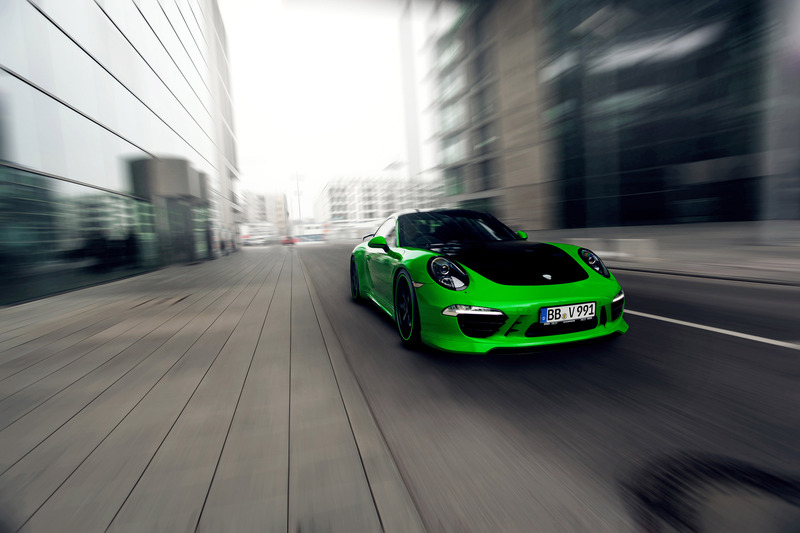 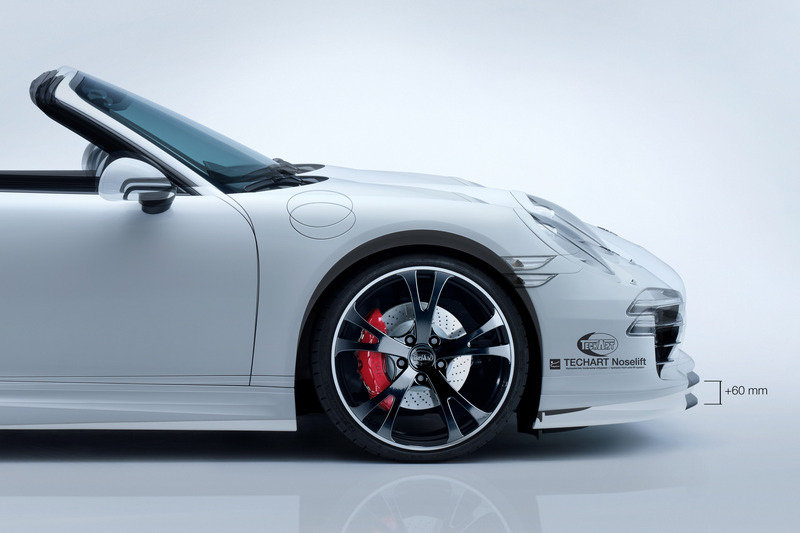 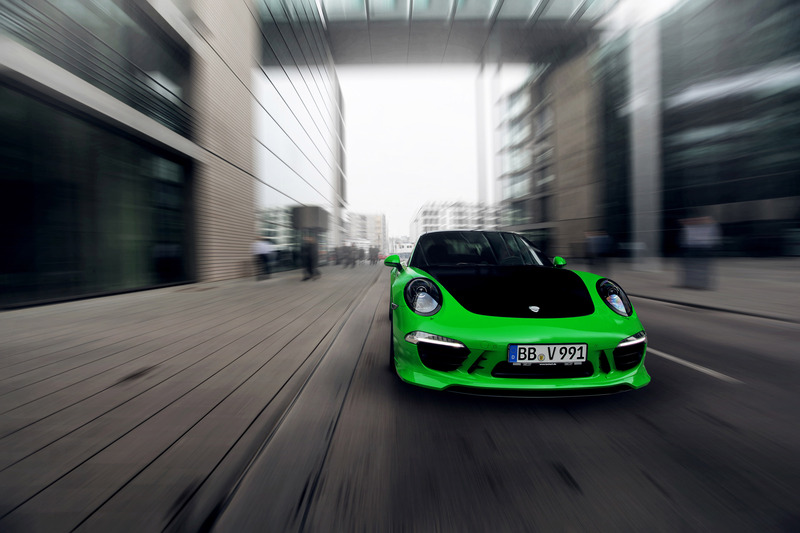 The tuned Porsche will make its official debut at the 2013 Geneva Motor Show. 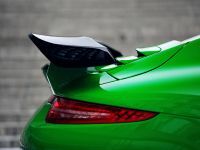 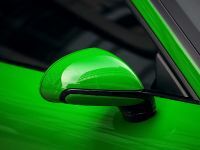 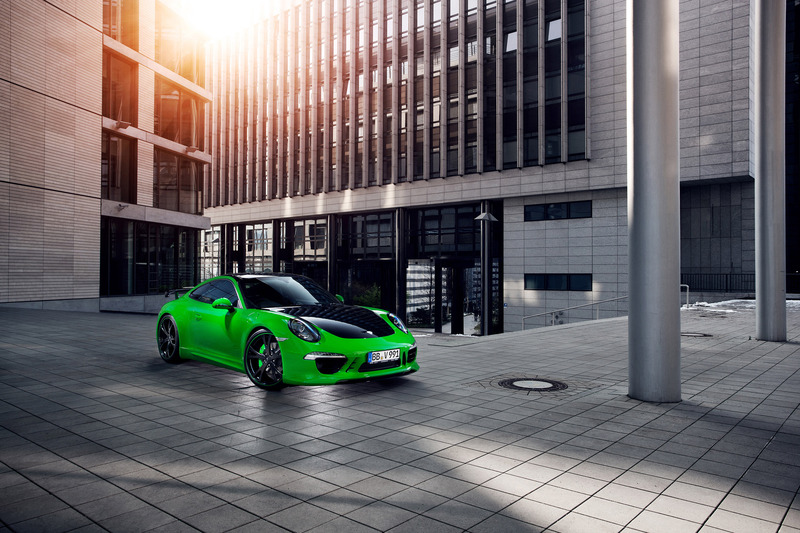 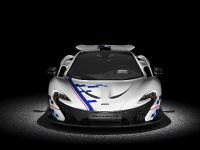 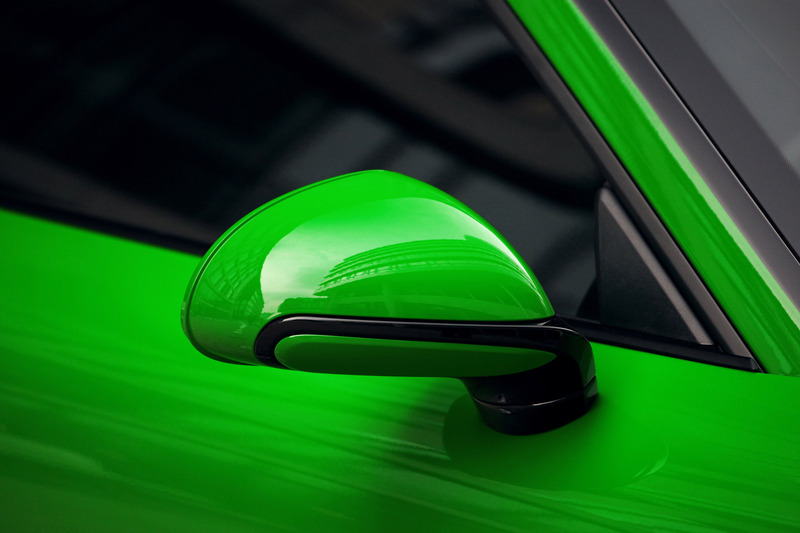 The exterior boasts Emerald Green paint and an aerodynamic body kit including a new front spoiler, a pair of revised side skirts and a black-painted front hood. 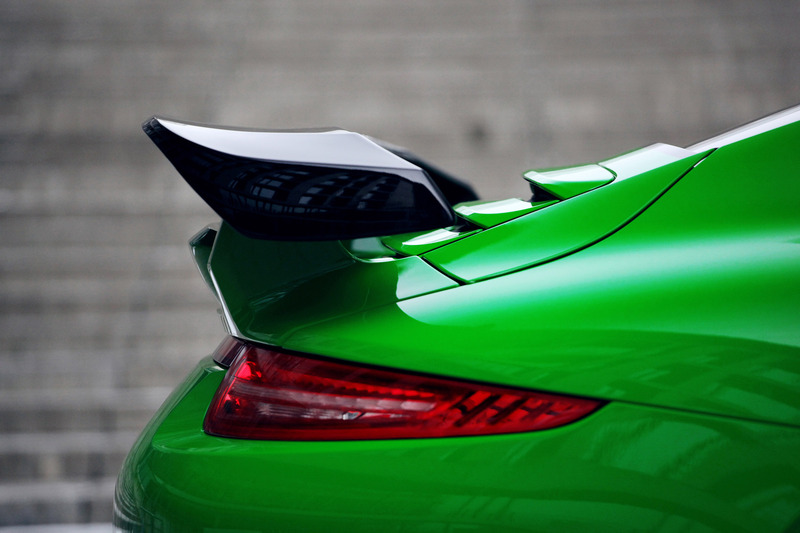 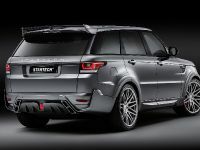 There is also a tail spoiler, a new rear diffuser and wing. 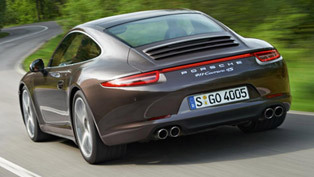 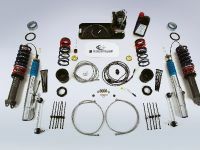 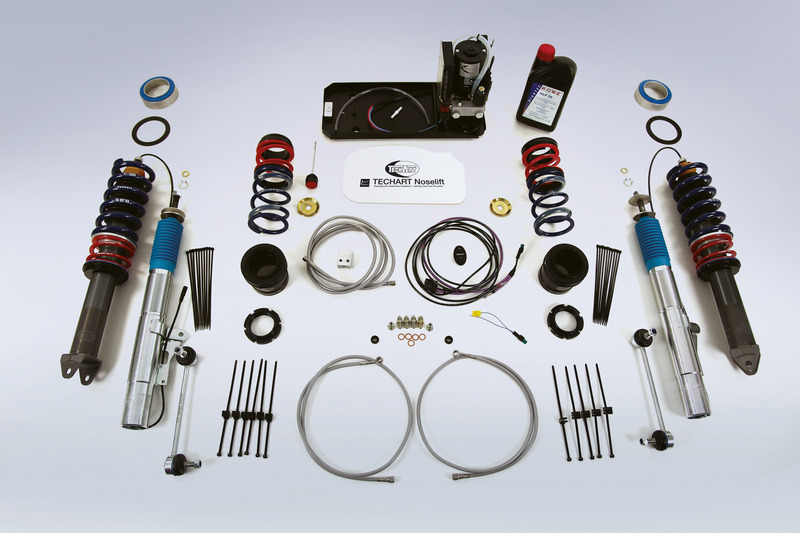 The car also comes with a racing exhaust system with dual center tailpipes. 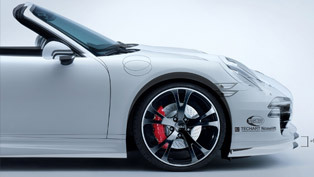 Other highlight is the Noselift System, which is very useful when going over speed bumps. 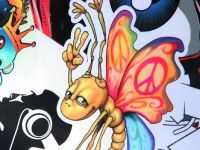 It can rise the front of the with up to 60 mm. 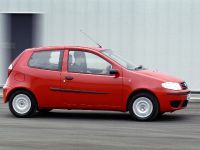 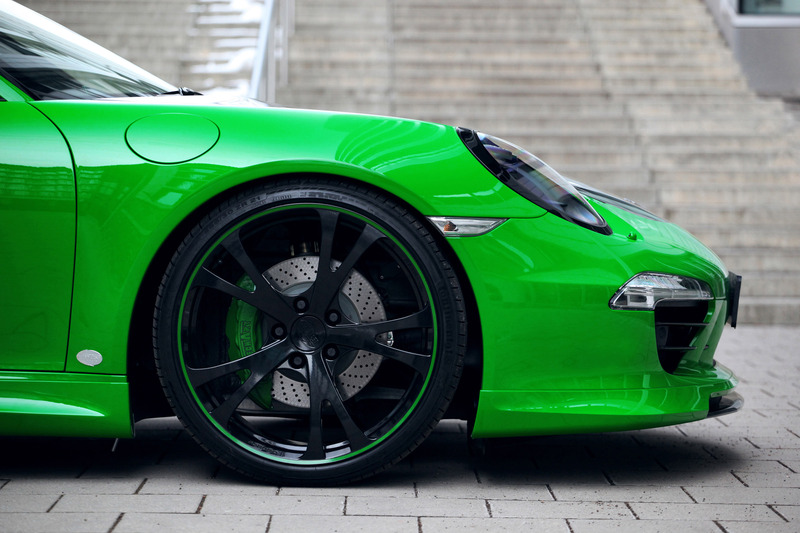 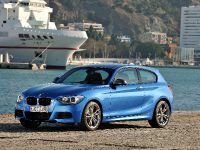 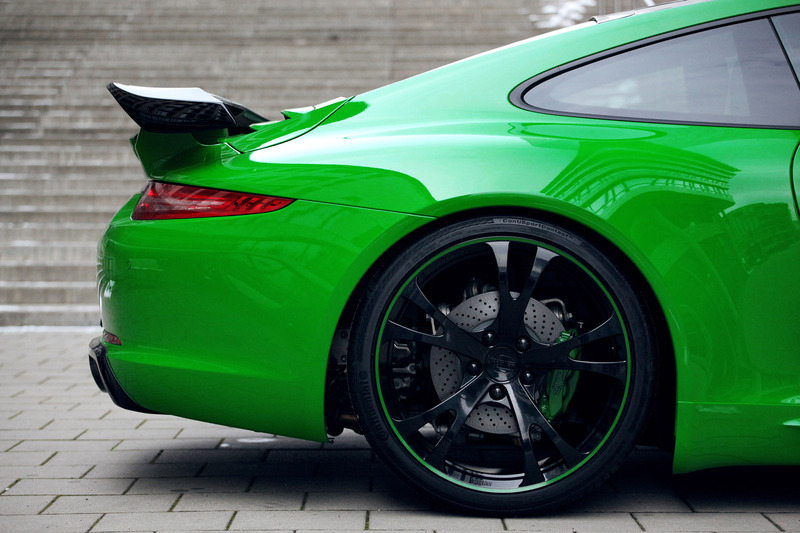 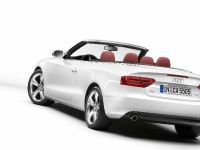 There are also different types of alloy wheels – 20" and 21" fitted with ultra-low profile performance tires. 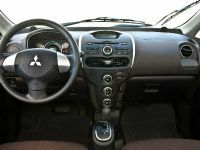 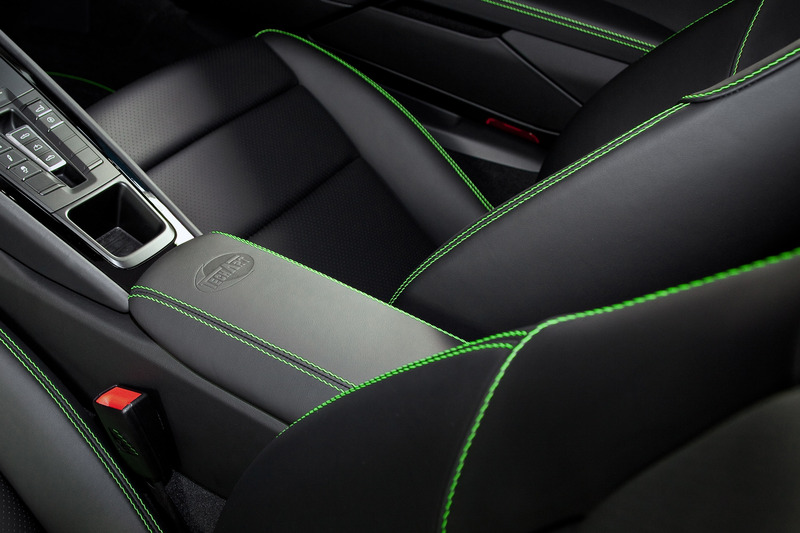 The interior features color-matching trim elements, decorative accent stitching and a new three-spoke steering wheel with black paddle shifters. 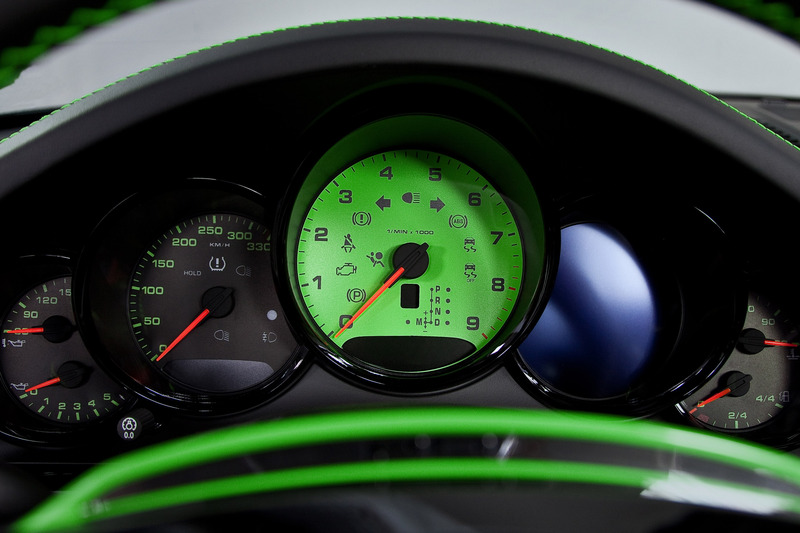 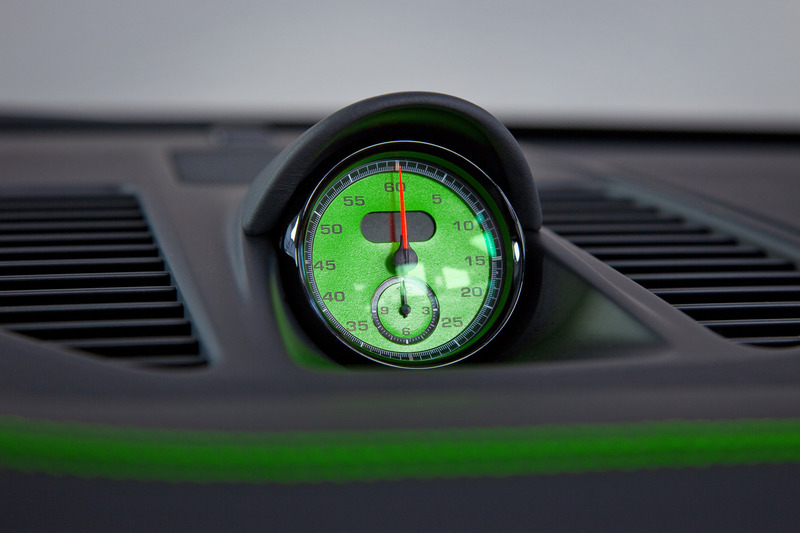 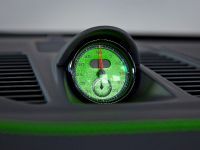 Last, but not least is the new instrument cluster with matching colors.